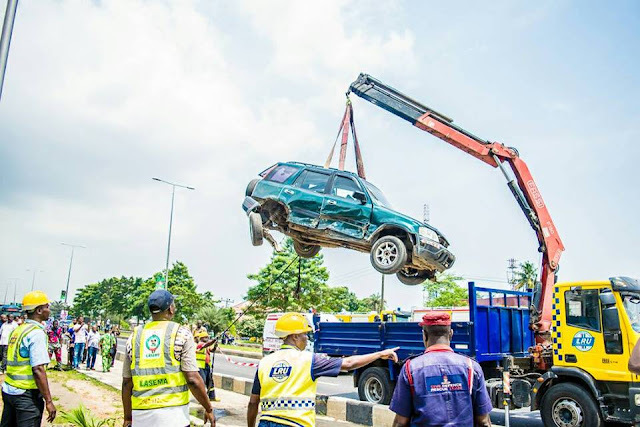 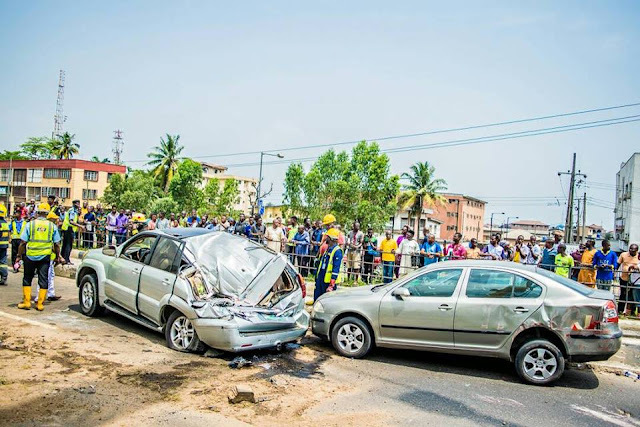 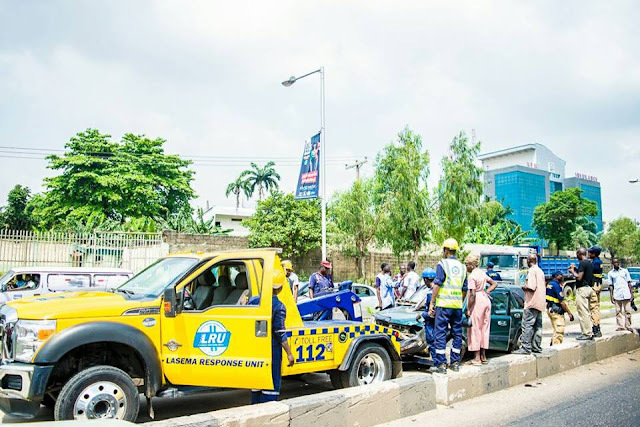 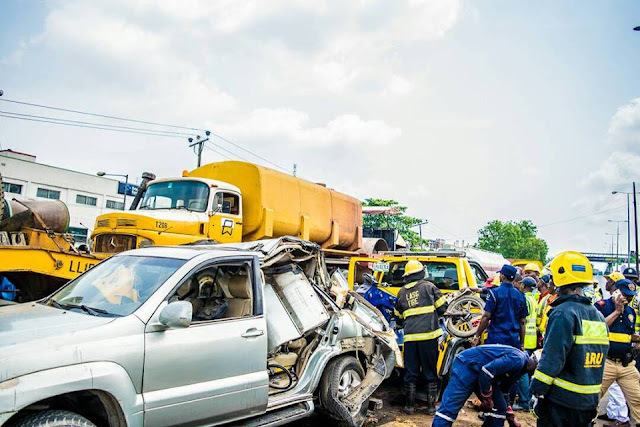 If not for the prompt intervention by LASEMA Response Unit in a multiple accident along Ikorodu Road which led to the rescue of 9 lives including a family of five (father, mother and three girls and others), the family and all other occupants in these cars will have been dead by now. 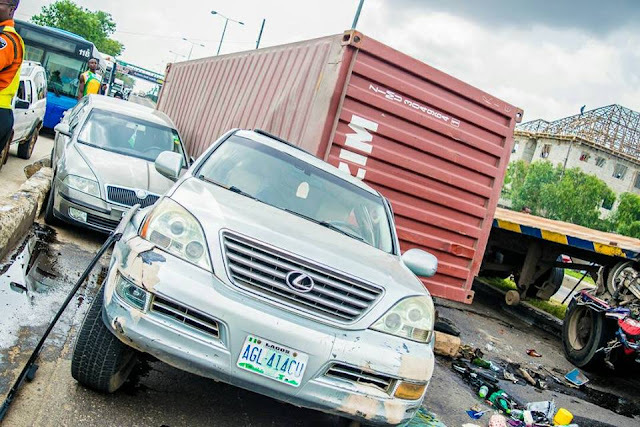 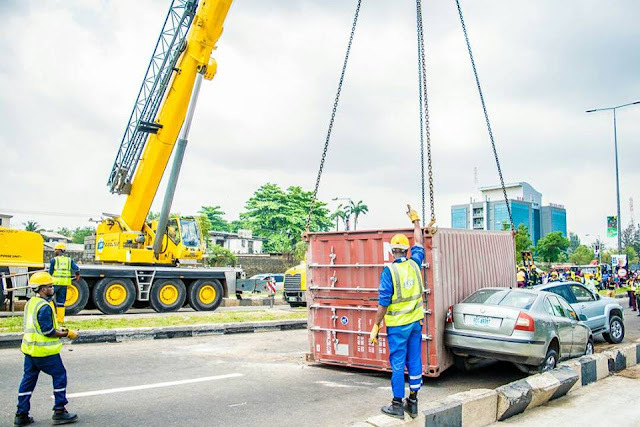 The accident was as a result of tanker falling on 2 cars thereby causing a serious damage. 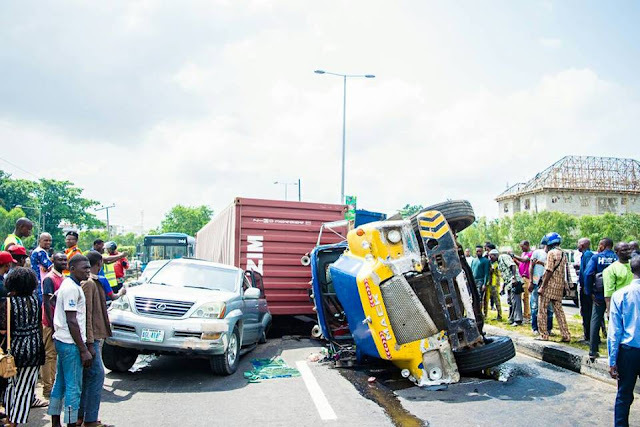 See more pictures below..